Guests have the option of renting our tastefully renovated 1860s inn for either three or seven nights as part of their special celebration. The inn comfortably sleeps up to a 14 guests and provides the wedding and party and family member with a special bonding experience that always becomes a cherished part of events at our venue. Built in the 1860’s by the Smith family from Scotland much of the original detail remains. Story has it that the Smith’s brought their working dogs with them. We are the 3rd owners of this historic property and have been careful to retain much of the original detail in the farmhouse like the handblown glass windows, wide plank pine flooring, double front door. The claw foot tub has made its way out to the bar in the barn for chilling beverages. Bluestone walls have been carefully rebuilt. 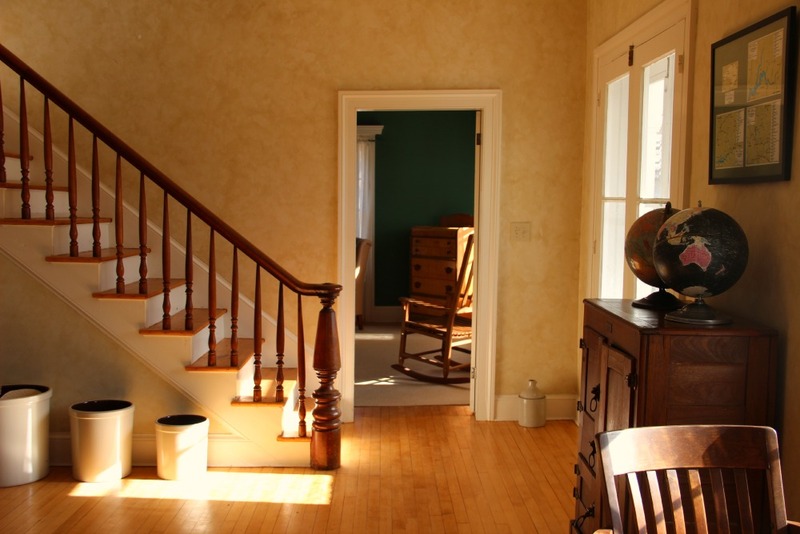 Our six bedroom , 3 bath historic 1865 farmhouse comfortably sleeps 14 people and all linens are provided. One of the bathrooms includes a two-person Jacuzzi. The fully-equipped kitchen has everything guests need to prepare everything from snacks to multi-course gourmet meals. We are happy to provide information on where to obtain locally the freshest meats and vegetables from our gardens and area farmers. Bluestone patio for family dinners. 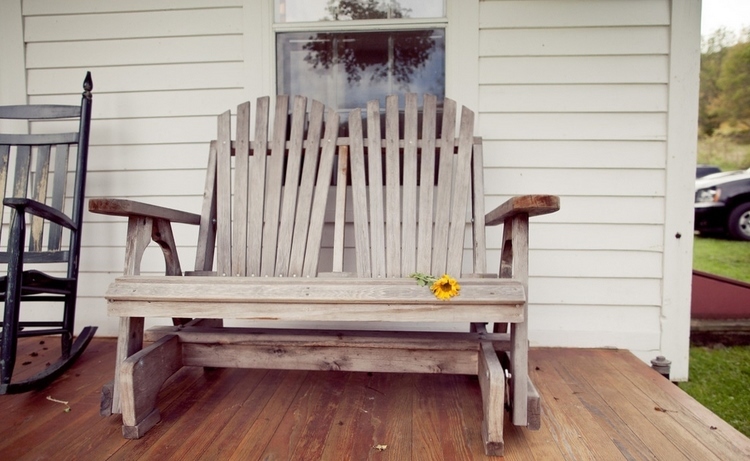 Rocking chair porch for early morning coffee. The inn provides wireless Internet service and we also offer a guest land line telephone and a television. Check-in begins at 4 p.m. and checkout is at noon. Modern restrooms and two bars provided in the barn. One bar is outdoors for an outdoor cocktail hour and the indoor bar is handmade from reclaimed wood from a silo that stood on the farm. The event setup in the barn will also include 16 handmade family-style dining tables made from reclaimed wood from a silo that stood on the farm, assorted vintage wooden chairs, vintage china, your choice from our prop room, lounge furniture for the 1st floor lounge area, benches for your ceremony, 1oo’s of feet of strings lighting around the barn, a bonfire the night of your wedding reception, parking for your guests, and use of grounds, including our organic flower cutting gardens for all your flower needs. The rental fee includes use of the barn and grounds for your wedding day, optional Friday welcome dinner, optional Sunday goodbye brunch. No curfew. No noise restraints.